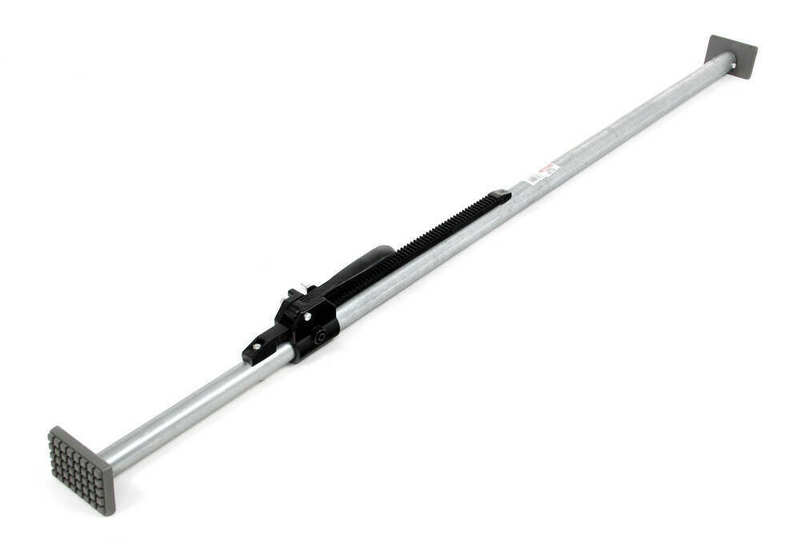 This sturdy, commercial-grade cargo bar helps secure a load in your truck bed or trailer. The galvanized steel bar adjusts from 60" to 75" long. Simply unlock the lever, adjust the length as desired, and lock the lever to secure the bar. Lowest Prices for the best truck bed accessories from Erickson. Erickson Lever Action Cargo Bar - Galvanized Steel - Adjustable Length - 60" to 75" Long part number 08907 can be ordered online at etrailer.com or call 800-298-8924 for expert service. 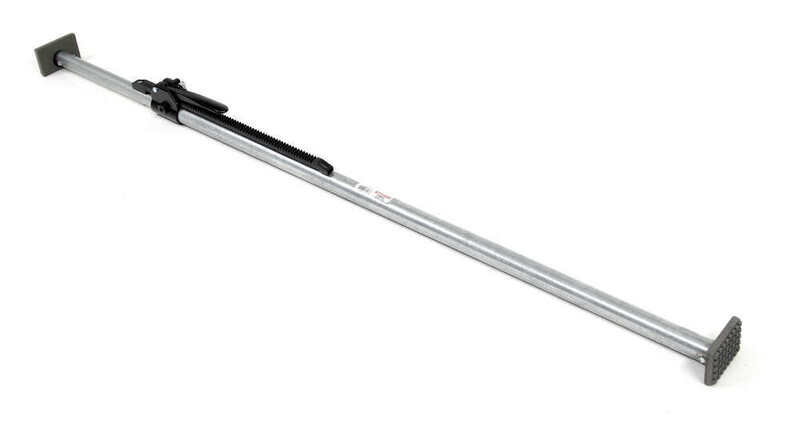 08907 Erickson Industrial Deluxe Lever Action Cargo Bar - 60" - 75"
Today we're going to review part number 08907. 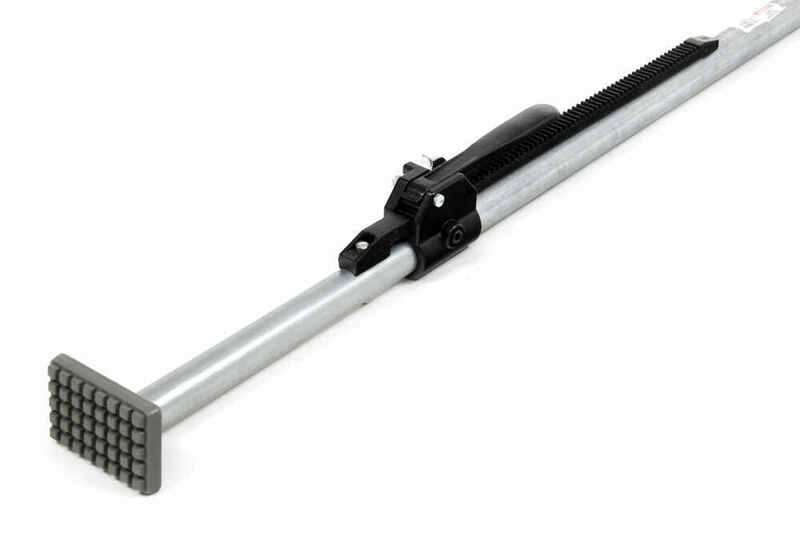 This is the Ericson lever action industrial cargo bar. 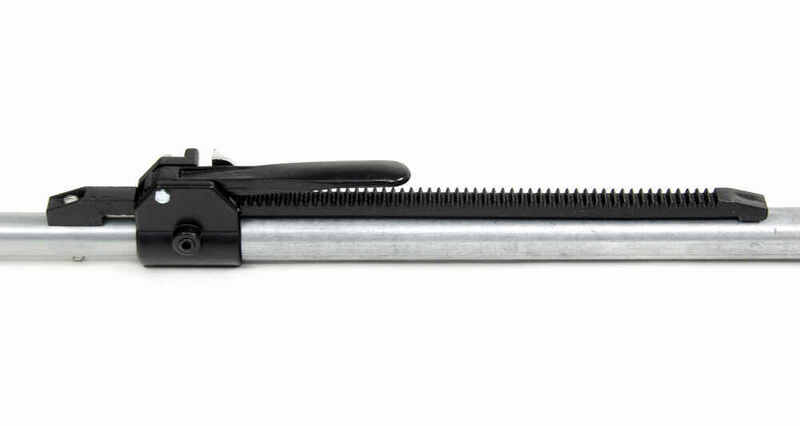 This lever action cargo bar can be adjusted from the 60 inches, like it is now, all the way out to 75 inches. All you have to do is push this little lever to unlock the lever. Push the lever all the way open, and you can see that you can extend it out as far as you need it up to 75 inches. Once you get it in the position you need, then as you turn this back and push down, it will lock into place and secure it from moving. This bar will help secure your cargo in an enclosed trailer or even in your truck bed. On the very ends, you can see, it has these hard plastic pads to help protect the finish of the trailer or your vehicle when tightening the bar down. If you notice the ends on both ends use swivels, so they will help provide a firm base when tightening the bar down. The diameter of this bar is about 1.5 inches in diameter. Again, just to operate it, there's a little lever here you just push down to release it, releases the lever. Then, push it all the way, then you can see it will slide whatever position you need. Once you get it to where you're at, all you do is push that lever down. When you do that, it will lock it into place and keep the pole from moving. That should do it for the review on part number 08907. This is the Ericson lever action industrial cargo bar. .
Order: RelevanceNewestRating - High to LowRating - Low to High This sturdy, commercial-grade cargo bar helps secure a load in your truck bed or trailer. The galvanized steel bar adjusts from 60" to 75" long. Simply unlock the lever, adjust the length as desired, and lock the lever to secure the bar. 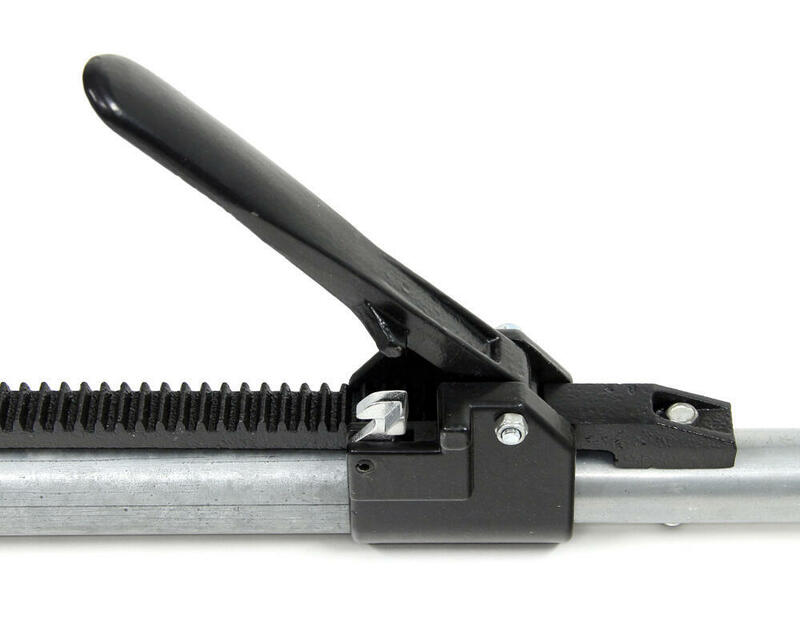 What is the Erickson Lever Action Industrial Cargo Bar Made Of? The Erickson Lever Action Industrial Cargo Bar # 08907, you were looking at, is a galvanized steel bar with hard rubber composite material for the foot pad. I have linked it to this page for your viewing and purchasing convenience.